College of Public Health and Human Sciences alumna Jenny Jackson, PhD ’15, has received the 2015 Student Leader Award. College of Public Health and Human Sciences alumna Jenny Jackson, PhD ’15, has received the 2015 Student Leader Award from Oregon State University for her contributions to students, the community and Oregon. Jenny, who graduated with a degree in Public Health with a concentration in Health Promotion and Health Behavior, is one of five Oregon State students given the honor by the Women’s Center as part of the Women of Achievement celebration. The awards recognize and celebrate the outstanding contributions of scholarship, leadership and service of undergraduate and graduate women at Oregon State. Jenny Jackson and her mother pose for a photo after Jenny received the 2015 Student Leader Award from Oregon State. With more than five years of experience as an instructor in the Nutrition and Dietetics program in the CPHHS and 10 years as a preceptor for OSU and Oregon Health & Science University dietetic interns, Jenny says her aim is to provide students with experiential learning opportunities that contribute to their educational goals and career aspirations. As an instructor, she developed projects for dietetic students to participate in community outreach activities on campus, at local elementary schools and at the local youth shelter. As the advisor for the Student Dietetic Association, she supported student leaders in developing a community garden and initiating the annual National Nutrition Month® event on campus. As a graduate research assistant with GROW, Jenny has been instrumental in developing family-home and school environmental assessment tools that help researchers understand environmental conditions that enable or hinder healthy eating or physical activity behaviors. 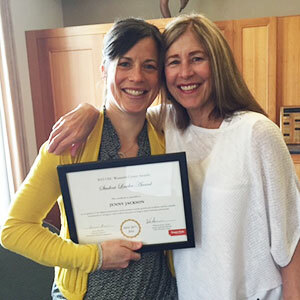 “She is an exceptional communicator and can translate challenging ideas and concepts in a way that ensures all learners receive and understand the information,” says CPHHS Associate Professor Kathy Gunter, who nominated Jenny for the award. Also serving as a mentor for undergraduate and graduate student thesis projects, Jenny has spent countless hours providing professional advising services and writing letters of recommendation. 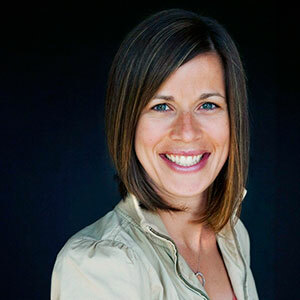 Jenny’s research examines associations between family nutrition and physical activity factors, food security and body mass index among children and families living in rural communities. She is currently working as a postdoctoral research associate in the CPHHS and says her degree has positioned her to develop an independent program of research around the promotion of healthy lifestyles and prevention of chronic disease. Her research examines associations between family nutrition and physical activity factors, food security and body mass index among children and families living in rural communities. Her long-term research goal is to inform practice, policy and program development that promotes healthy eating and activity behaviors among limited-resource populations. Jenny has served as a volunteer, board member and president of the Oregon Academy of Nutrition and Dietetics, where she has developed a collaborative network among food and nutrition policy advocates within the state. She was recently elected as Oregon’s delegate to the Academy of Nutrition and Dietetics House of Delegates (HOD).